This chapter begins by asking students the questions, Who was Charles Darwin? and What do you know about him? After collecting students’ current knowledge about Darwin, the EVO DVD provides background on the explorations and experiences that resulted in Darwin’s formulation of the idea that all organisms evolved from a single ancestor through natural selection. The lesson concludes with students extending their knowledge of evolution by examining actual statements by Darwin and other historical figures. 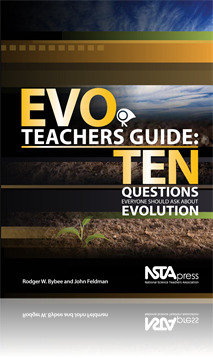 The DVD EVO: Ten Questions Everyone Should Ask About Evolution is also available for purchase.